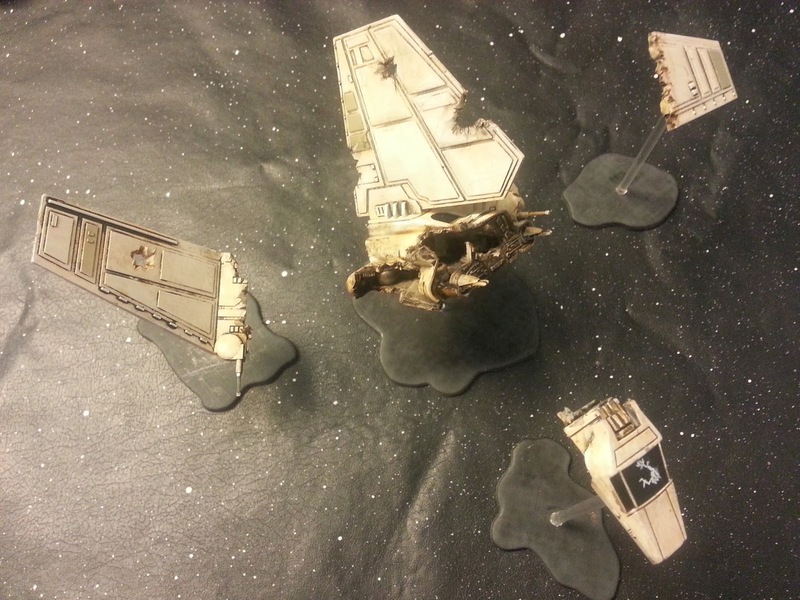 TheMetalBikini.com- X-Wing Miniatures and more: TMB.com and Miniature Market Painting Contest- The Results! TMB.com and Miniature Market Painting Contest- The Results! So I've been struggling with my selections for this for hours now. I mean, literally hours. I'm totally not joking around when I say I could have picked at least 8 Finalists for this thing and still felt like I left out some worthy contenders. Trust me, you'll see what I mean when I put all of these pics up on TMB next week. One is something of a painting veteran who is well aware of stuff like OSL and can execute other advanced techniques that are well above the layman's head. One is a new painter who is quickly learning the basics. One is a guy who plays minis games but doesn't paint. One is somebody completely not even into miniatures in the slightest. Ok, you guessed it- the last one was the wife. Anyway, after consulting with these folks, we were in total agreement on number 1, but while we all picked pretty well the same entries for the others, we had them in all different orders. Finally, I just decided to take one long, last, fully zoomed in look and make my selections. So without further adieu, I give you third place in this affair, from Seattle, Washington, USA- Booster's Wrecked Lambda Shuttle! Now, I know, I know- this is a painting contest not a conversion contest. I agree, but Booster did some very realistic, very technical work on this model and it's just crazy good. I love it. Congrats Booster! Coming in at second all the way from the UK is Dan Tulley! This model is just beautiful. Getting lines that defined ain't easy, folks. That's some really clean work right there. And to get such nice lines between two extremely contrasting colors? Two contrasting extremely hard to get right colors? Wow, Dan. That's a beaut, pal. And I mean look at that- he highlighted the friggin' guns, yo. I really like the selections on where the colors were applied too. It looks complete without looking busy, y'know what I mean? It has just enough going on to be striking without overdoing it. Congrats Dan! This last ship really knocked me off my feet. Creative conversion work, breathtaking paint job, it's just a gorgeously executed effort up and down. Please put your hands together for the big ship most likely to be sporting the Engine Upgrade Modification, Australia's own Robert Sakaluk and his YT-1300! Wow, right? Amazing ain't it? It's like, where do I even start? The painting is beautifully done, really capturing that lived-in, beat-up feel the ships and equipment had in the original trilogy without looking sloppy or incomplete. The conversion work is seamless and natural without looking tacked-on and obvious. Just hands-down an awesome job all around. Thanks again to all of you who took the time and went to the trouble of entering! I'll get a gallery of all the entrants up as soon as I can. Winners- I'll be in touch with you shortly! And thanks once again to Miniature Market who graciously donated not only the FFG prizes for this contest, but also the very idea of doing some kind of contest for the TMB readers! Show 'em some love, y'all! The Painting Contest is Officially Over! Fab's Squadron Generator, Now Version 4.0! Holy Mackerel, It's The Assault at Imdaar Alpha! 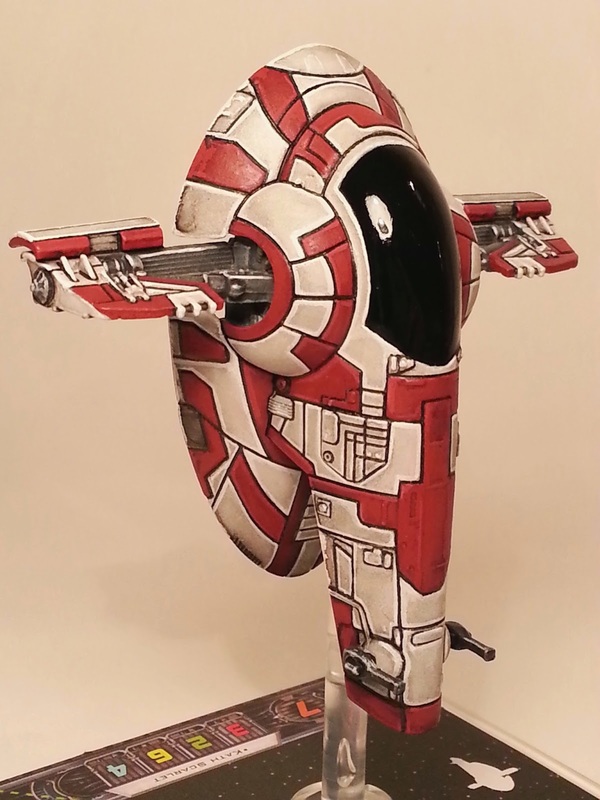 Preview: Transport X-Wing Pilots Revealed!